Ah, washing your hair. There’s nothing quite like the steamy, warm rush of water as you lather your scalp with soft suds. (Cue in steam and sound.) But how often should you wash those lovely locks? It depends. Experts say that age, ethnic background, activity level, and hair type all play a role. If you wash your hair too much, it becomes dry, brittle and eventually, it breaks. 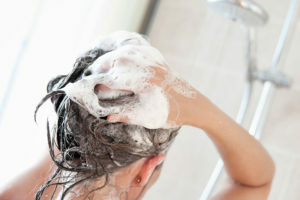 Another telltale sign of overzealous hair cleansing: a dry, irritated or itchy scalp.